Even though a majority of voters in the London area drive a vehicle, that part of their lives has been ignored by recent policies of London’s Mayors. In fact, London has experienced years of heavy prejudice against the means of transport used by almost everyone. Since 1974, 25% of the streets of London have been removed from traffic use. They have been converted into pavements, bus lanes, cycle lanes, roundabouts and even little gardens. But in the same period the traffic in London has more than doubled. Since 1988 there have been no new roads built in central London. Londoners make about 28 million journeys a day. About 40 % are by car, 40 % by public transport, of which buses and taxis account for about half, 18% walking and 2% bicycling. Of the 2 million freight movements, each day 97% are on the roads. Road traffic is the main way we stay connected. The average speed of traffic in the 1960s was 12 MPH. Now it is less than 7 MPH, which is slower than Roman London. On street parking now occupies road space the equivalent of a 500 mile motorway. New buildings of offices and apartments are being constructed without car parking. On top of this, existing off-street parking areas have been built over or removed. London now has less off-street parking than Barcelona, which is one 10th of its size. London motorists are now subject to more surveillance than any city in Europe. Fines for infractions are extracted as part of the revenue of the inner London boroughs. One box junction alone is yielding over £3 million a year for its local authority. The income of many inner London boroughs from residents parking is now a significant proportion of revenue. Motorists are condemned to sit and fume in their own pollution while they pay the bills for others to move around the town. The building of the cycle-ways, and the increase in traffic lights has so reduced average speeds that there has been a significant increase in respiratory medical conditions in the past two years. Cycling may be healthy for the cyclists but it is damaging the health of everyone else. Traffic lights have been set to favor pedestrians and the red phase has been extended by 6 seconds since 1998. Motorists sit watching empty junctions with non-existent pedestrians. This costs the other users of London roads including buses over £2 billion a year in lost time. Pedestrian-operated signals also interfere with effective traffic light phasing. The number of traffic lights has increased by 42% since 1975 and at the same time multiple sequential phasing of lights on main roads has been abandoned. 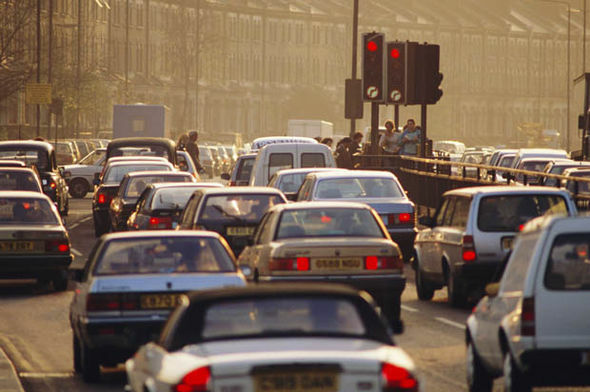 The congestion charge has become just another source of income and it does nothing for congestion. Furthermore, it is a blunt instrument and was never likely to alter traffic behaviour permanently. In our backstreets, on-street parking now means that cars passing in opposite directions frequently must reverse out of the street. In fact, in some residential areas, were there to be an emergency, the fire brigade would simply not be able to reach the house concerned. Repeated requests to introduce one-way operation in residential streets have been resisted by the traffic planners, even though it is a general policy in a large number of cities in the world. They say it would encourage ‘rat running’. That is already a serious problem, aggravated by bad traffic light phasing and congested junctions. There is a need to rethink the whole policy of ‘traffic calming’. Speed humps are both dangerous and expensive, causing much serious damage to cars. It is not enough to argue that those concerned deserve the damage for speeding. In fact, many humps cannot be safely crossed at even 12 mph. The efficacy of all this mess of bollards, paved outcrops, and other paraphernalia need to be properly established. To my knowledge, there is no authoritative research suggesting traffic calming actually works, and the cost rises every year. We now have a huge number of cyclists on our roads that pay nothing towards the roads they occupy. They have no control, no insurance, and have been notorious users of the highways, breaking law as they choose. Many ride racing bikes with no effective brakes and do so beyond the legal speed limits. The new cycle lanes have further reduced traffic speed, increased congestion, and caused pedestrian deaths. The cycle priority area in front of cars at traffic lights has just served to further reduce the average speed of traffic, as well as putting every cyclist who uses them at personal risk of injury. It continues to be a matter of wonder that such a policy was ever introduced. Incidentally, visitors from overseas often stand and wonder at this lunatic invention. Many bus and cycle lanes are lightly used except in the rush hours. They stand empty, and contribute to both pollution and congestion. The advertised operational timings are capricious and inconsistent. In fact, they are altogether confusing for motorists, while the penalties are out of any proportion. The use of streets as gas, electricity, telephone, and water way-leaves has become uncontrolled. This means frequent unplanned and unmanaged street closures. But much worse is when streets are closed for long periods, with wholly inadequate diversion routes or no signs at all. Perhaps the single most significant change in recent times was the abolition of the Metropolitan Police Traffic Division in 1996. There is no supervision of the actual operation of London traffic. There are a huge number of cameras monitoring motorist’s speed. This produces large revenue, but also deep resentment on the part of drivers, who see other road users disobeying the simplest of rules. When things go wrong there are no longer trained police to sort out the congestion. Crowds at sports and entertainment are policed, but the traffic outside just stops. In all the cities I have visited recently in Britain and overseas, traffic police are visible. In Paris some are even mounted on roller skates and powered Segways. They move briskly through the traffic, and intervene whenever congestion increases. Eventually London will grind to a halt at a very inconvenient moment, and people will die because emergency vehicles cannot reach those in need. Those of us who live here notice how fowl the air has become, with constant nose and throat infections. Our politically correct traffic planners, who mostly live out of town, simply ignore the fact that slow traffic pollutes, and a reasonable speed of flow pollutes less. The answer to all this is to give back priority to motorised transport at all levels by changes in regulation, road layout, building, and all other street activities. The aim should be to keep the traffic moving all the time. At the same time, there needs to be a significant increase in off-street parking, supported by more park-and-ride arrangements. There also needs to be a programme of major construction to ease the pinch points. The notorious ‘gluepot ring’ around London, composed of the old villages that surrounded the capital, is still there, and still closes everybody’s way to work everyday. Here is my proposal for a new transport policy (in Part 2 of the Motorists Manifesto I will deal with the road construction programme). Immediate changes to free the London motorist. Remove the six-second pedestrian phase on all traffic lights. Reintroduce positive phasing of traffic lights. Have no phase to be less than 20 seconds. Link successive lights to give continuous traffic flows. Introduce free left turns on red lights whenever possible. Remove pedestrian crossings from the leaving side of traffic lights. Examine the usefulness of every set of traffic lights and remove unnecessary ones replace with mini roundabouts and crossings. Or even introduce road signs declaring priorities. Increase one-way traffic in back streets so that all streets have free movement. But impose and police speed limits. Review all ‘traffic calming’ obstructions and replace where possible with 20mph speed limits properly enforced. Building to increase traffic space in London. Remove all unnecessary lightly used bus and cycle lanes. Standardize all bus lanes to operate only in rush hours: 7to10 inbound and 4 to 7 out. Remove the priority box for cyclists from in front of traffic lights and replace with a box on the inside lane in which the cyclists have to queue. Move the cycle highways into the back streets to free up the main arteries. Build cycle tracks on pavements and through parks and squares and never again on main roads. However, examine the possibility of centre reservation traffic lanes as has recently been introduced in Barcelona. Building for the London motorist. Institute a mass building of central London car parks. Make provision of car parking compulsory in all new buildings of offices and apartments. Examine a whole array of road widening, flyovers and underpasses to ease traffic flows in the centre of the city. Resurrect a number of major building works such as the West Cross Route the M4 relief road, the East London link, the M23 extension and so on. Control of cyclists in London. Insist that every cycle is licensed by fitting an electronic chip under the saddle. Then every cycle can be identified and those that breach the law brought to justice. Make third party insurance compulsory for cyclists. Use the above chips as a control. Charge cyclists an annual fee for use of the roads administered through the same system as supplying the chips. Require every cycle to be compliant with current construction and use regulations. Create a good cycling enforcement body to control cyclist behaviour. Increase use of public transport in London. Introduce short journey free buses on all main roads in central London. Keep all high-capacity buses out of the centre. Bring back minibuses in off-peak periods on the same routes as their big brothers in the rush hour and park the big ones during the day. Improve bus driver training to comply with best practice. Control of Goods vehicles in London. Limit deliveries in large vehicles to night-time between midnight and 5 AM. The same goes for rubbish collection and any other large vehicle movement. Limit all deliveries during rush hours. Require all construction sites to have proper parking facilities. Re-establish the Metropolitan Police Traffic Division and put active well trained and equipped police back on the streets. As a motorist, you are the cause of the jam you are creating. You’re blaming everyone but yourself; but the reality is, you take up too much space on the road. Do as I’ve done & get on your bike, or stop complaining. As motorists we contribute to the costs of the roads; as residents we suffer the pollution of traffic delays caused by cyclists; as citizens we have to put up with the indiscipline and aggression of much of the cycling community. Incidentally, I am not against cycling to work, for in 1969 I was the first to do so in inner London and parked my collapsible bike in my Whitehall office..